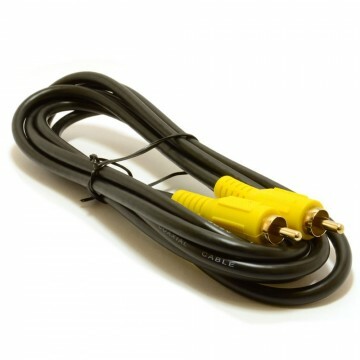 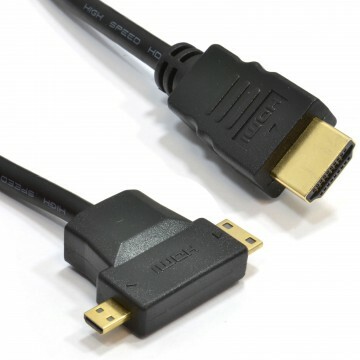 HDMI (High Definition Multimedia Interface) is a specification that combines video and audio into a single digital interface for use with DVD players digital television (DTV) players set-top boxes and other audiovisual devices. 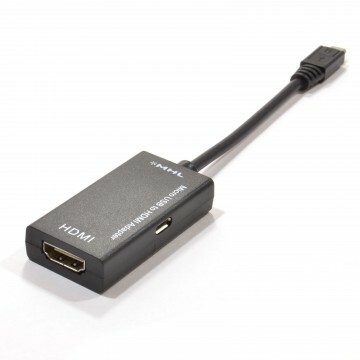 HDMI supports standard enhanced or high-definition video plus standard to multi-channel surround-sound audio. 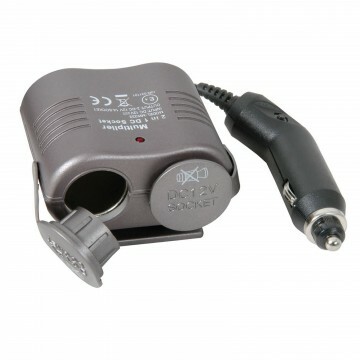 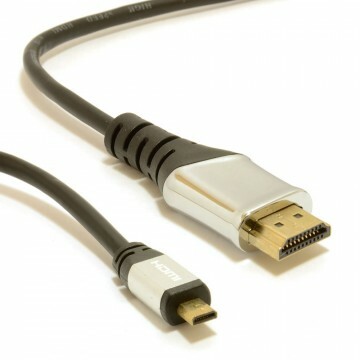 Supports HDMI Version 1.4 with Ethernet this means that the cable will allow a maximum signal bandwidth of 340 MHz a TMDS bandwidth of 10.2 Gbps and support a maximum resolution of 2560 x 1600. 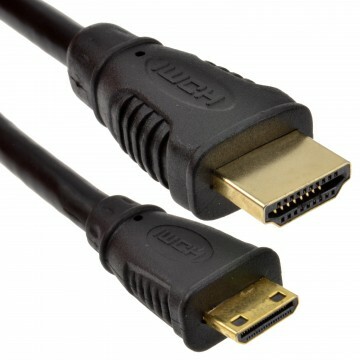 5 Meters in length Mini HDMI HDMI High speed.